The need to talk is crucial if succession is to be effective and effected. It is important not to leave it too late to discuss something as important as the family firm! Over time families evolve, births, marriages, divorces and deaths all contribute to the evolution of the family, and with it, family members and it is important to bear this in mind when considering the future of a business that has family members as stakeholders, either as directors and/or employees or shareholders with a vested interest in its performance. Succession planning is talked about widely but there is often a reluctance to talk about it openly and honestly with the different generations on their own individual timelines having different needs and objectives reflecting where they are currently in terms of their careers and personal circumstances. When working with family businesses it becomes clearer that succession is inevitable and in the short term at least, the introduction of a next generation leader will mean the business will continue and simply that someone else is at the helm. There is an inevitability with succession as we are all going to die at some point and it is better to have open and honest conversations with all parties present than trying to discuss and resolve matters at a time of emotional unrest following the death of a loved one when time should be spent on the family, and not arguing about who gets what. In the normal course of life there is an inevitability that the time will come for one generation to step down and the next to step up to the plate. Easily said and not so easy to put into practice unless everyone buys into the process. 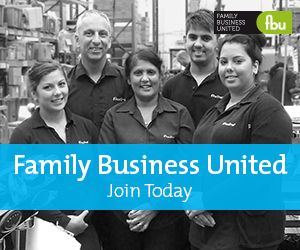 Rather than becoming a significant issue and something that cannot be discussed, families that succeed in business for generations recognise the need to be open, frank and deal with the matter at hand. In other words, this pivotal moment for any family, and consequently the business, can be an opportunity for both generations. The older generation has the opportunity to consider their personal journey, how they want to spend their ‘golden years’ and the role, if any, they want to have in the business going forward. Similarly, the next generation have an opportunity to embark of the next stage in their journey, within or outside the business, and if outside, may retain a vested interest by way of share ownership. In either scenario, the next generation have the opportunity to continue the family traditions and move the business forward, wither by developing new skills to become the leader of the family firm, or to further enhance their knowledge to become responsible business owners. As the family grows over time, the succession challenge becomes magnified, as a business and assets need to grow in order to maintain the level of support for the family. With successful family firms, the next generation recognise that they are stewards for the next generation and need to grow the business in order to meet the growing needs of the family. Advice from professionals can help as the family governance needs to be appropriate for the family and the business and there needs to be appropriate strategic plans in place to meet the needs of the family. Succession planning is often built up as the main challenge facing family firms but in reality it is more of a personal matter, individuals recognising when the time is right to step down and hand over the reins and to focus on their personal objectives going form and others needing the affirmation and belief in their own ability to step up and take it on. As advisers to many family owned businesses and their owners, it is important to understand the relationship issues and challenges that being in business with family members can bring. It is important to listen. When you have a broader understanding of the family and their plans and financial needs, it is easier offer all round advice to help them achieve their goals. Succession is an emotive topic, rightly so, and needs professional input in terms of structures, tax planning etc but first and foremost it begins with a conversation, one that we have heard many times before and can help with too, because, whatever happens in the short term, in the long run there will be a next generation, or an outsider in the leadership role. If the right plans are talked through and put in place, the family firm can succeed for generations to come and like it or not, it will continue, but somebody else will be at the helm.